Hello my lovely little daisy! Firstly, happy valentines day. Sending you, yes you my lovely reader lots of love. 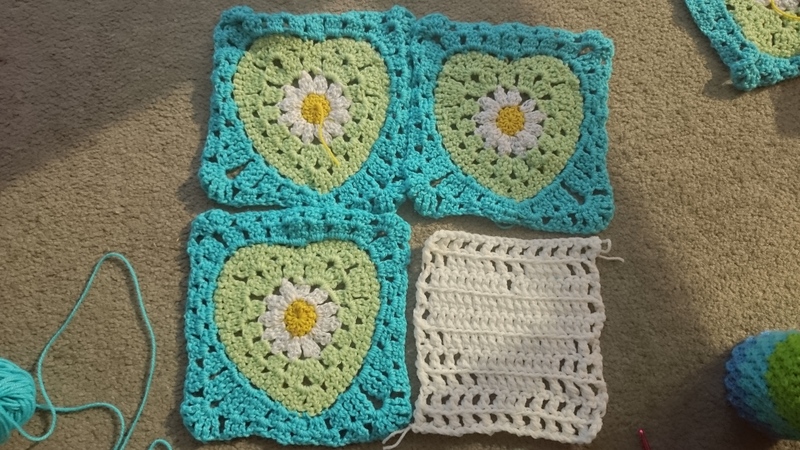 I’m not going to bore you with my own pattern this time, instead I followed a popular pattern for these granny heart crochet with daisy in the center. I made 14 of those. 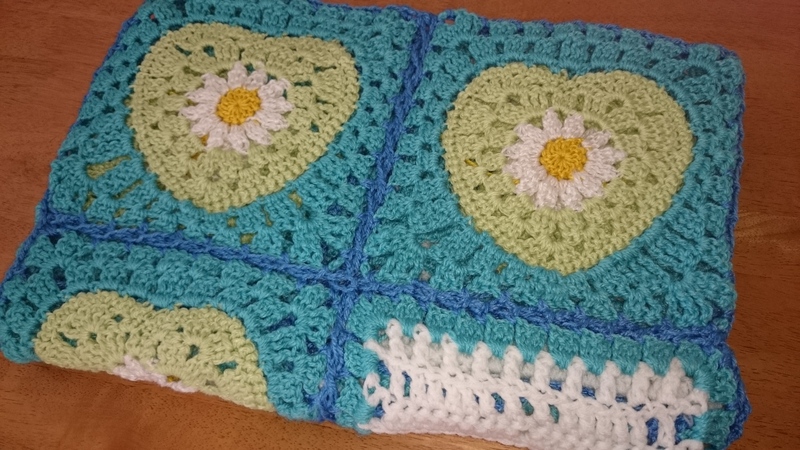 And for the filet crochet of hearts I used two strands of yarn, and a 5.5 mm hook. 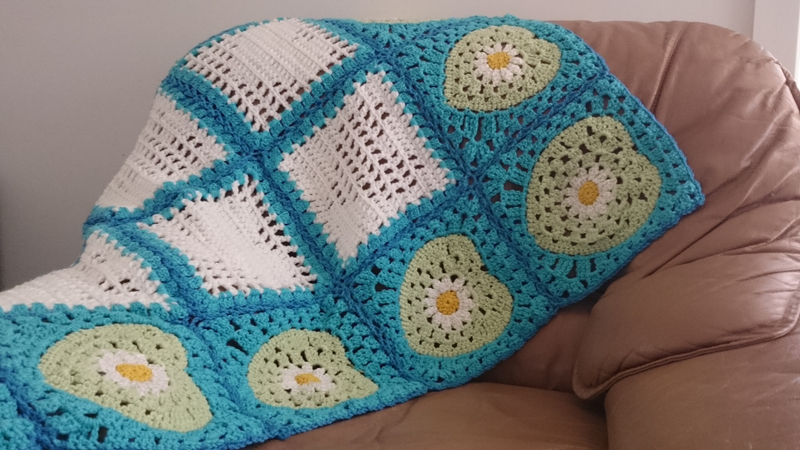 I have used the flat braid join to finally make my daisy heart baby blanket. Okay, now I have a confession to make. 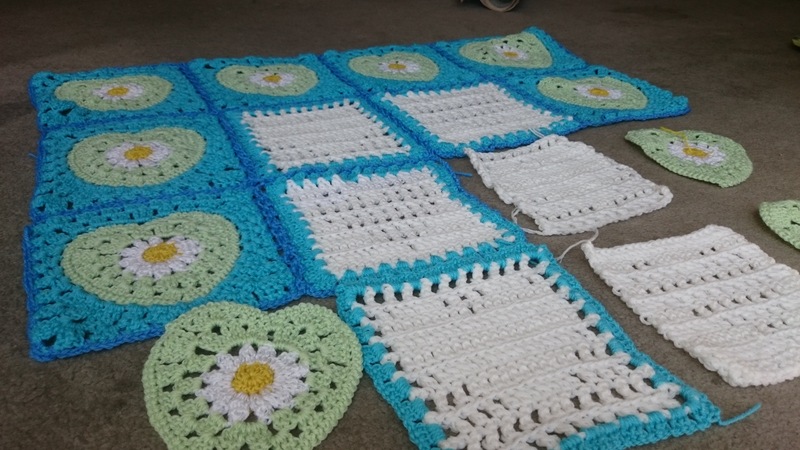 I thought I could pass it off with these pictures but the blanket is not yet complete and I have a couple of granny squares to be joined. I needed to get this post out today so published it. There you go.. feels lighter now. So I’ll keep you posted when its done and when I have better pictures to show you. Thanks! You have some pretty work on your blog too. You got d real talent in u. Keep up d work Div.